Nobody expects to get into a car accident; they take everyone by surprise. 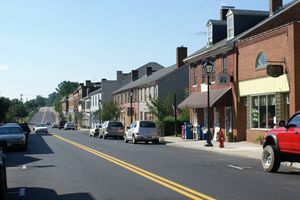 In Scottsville, most of these happen around Route 20 and other heavily-populated streets. Although you may be struggling with an injury suffered by you or a loved one, please make sure that you are informed so that you aren't harmed further by insurance companies. These companies may promise to take care of you, but in the end they are trying to pay you the least amount of money, which often means a lower settlement than is fair. Make sure you know how to hire a Virginia injury attorney in case you need one and how to discuss the matter with your insurance company.